Klaire Labs® was founded in 1969 by Claire Farr, whose primary goal was to provide nutritional support for individuals with severe food allergies and environmental sensitivities. 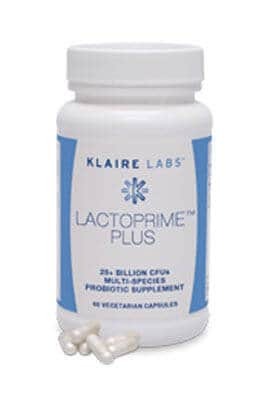 Klaire Labs® developed some of the very first hypoallergenic nutritional supplements available, making Klaire Labs® an innovator in dairy-free probiotics and vegetarian enzymes for gastrointestinal support. An unwavering commitment to hypoallergenicity, product purity, and rigorous quality control has been the hallmark of the Klaire Labs® brand for more than 47 years. And having earned a strong reputation and brand recognition in the medical community, Klaire Labs® products continue to be the choice of physicians worldwide. 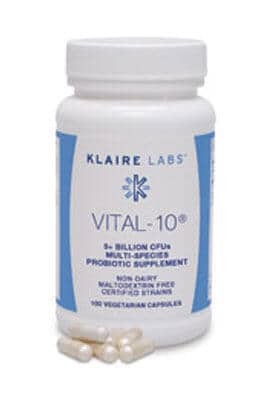 The most comprehensive formulation in Klaire’s Baseline Balance probiotic line, Vital-10® is a hypoallergenic, proprietary blend of 10 probiotic species developed specifically for the maintenance of a healthy intestinal microbiota. Vital-10® provides a synergistic blend of indigenous, essential colonizing, and beneficial transient probiotic microorganisms. The Lactobacillus species normally predominate in the small intestine while the Bifidobacterium species are important for the colon. Vital-10® supplies beneficial probiotic organisms generally not present in modern, highly processed foods together with indigenous species whose numbers decline with age, antibiotic and other drug therapies, and stress. Two transient yogurt starter species with long histories of health benefits are blended into the formulation. 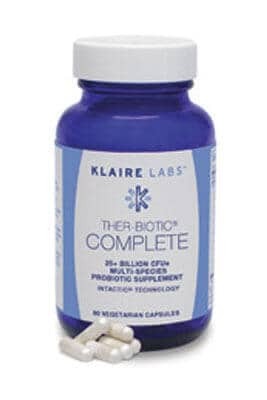 Together they maintain a healthy, balanced intestinal microbiota, promote normal gastrointestinal function, synthesize B vitamins and vitamin K, facilitate nutrient and mineral absorption, and support normal intestinal and systemic immune functions. Clinical research has shown that the probiotics provided in Vital-10® in combination with a diet eliminating specific food allergens helped reduce pain and stool frequency in people with irritable bowel syndrome. Vital-10® is a cost-effective, multispecies probiotic formula especially useful for maintaining a healthy microbiota balance in people with normal gastrointestinal function and for maintenance supplementation in individuals following more agressive probiotic supplementation with higher potency preparations or more targeted probiotic blends.